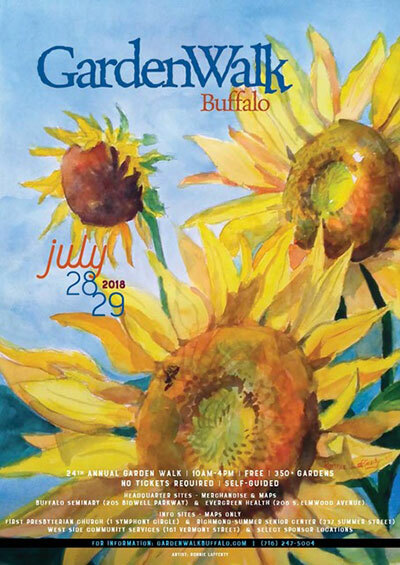 Garden Walk Buffalo, the largest garden walk in the United States, will celebrate its 25th anniversary in 2019 and needs artwork for the anniversary poster. Entries are due Jan. 31. • 25th Anniversary: You may choose to incorporate the number “25” into your artwork if applicable. It is not a requirement to do so, but an option. 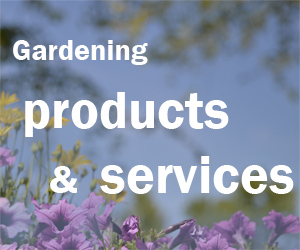 • Garden Walk Buffalo is the largest garden tour in the U.S and one of Buffalo’s most anticipated summer events. • It attracts thousands of visitors to Buffalo’s West Side to tour more than 400 creative urban gardens. • Garden Walk Buffalo shatters expectations of Buffalo city living, it promotes neighborhood beautification and instills community pride. You may enter any form of painting (any medium, any style — traditional to contemporary), drawings, photography, illustrations, sculpture or mixed media work. Your submission is limited to five entries. Keep your artwork simple; it needs to reproduce well on a variety of materials. Do not put any type/logos on artwork (other than “25”, which is optional). All details of the event will be added later. Artwork should be considered “wearable and saleable” for both men and women. Artwork will be reproduced on a variety of mediums and sold to promote Garden Walk Buffalo. All use of the artwork will be at the discretion of Garden Walk Buffalo. Submit a digital file of your artwork, not to exceed 25 MB. Please zip/compress your files. The preferred size of the file is 8×10 inches at 300 dpi. Include a short biography of yourself and an explanation on why your artwork would be particularly appropriate to Garden Walk Buffalo’s event. Email your entry to gardenwalkbuffalo@yahoo.com. Include ART ENTRY in the subject line. For more information, see the poster page or contact gardenwalkbuffalo@yahoo.com or (716) 247-5004 or (800) 557-3981. 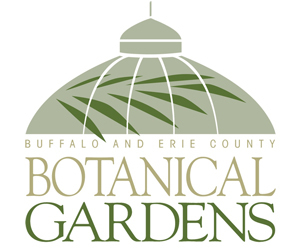 In 2019, Garden Walk Buffalo will be held from 10 a.m. to 4 p.m. Saturday and Sunday, July 27 and 28.